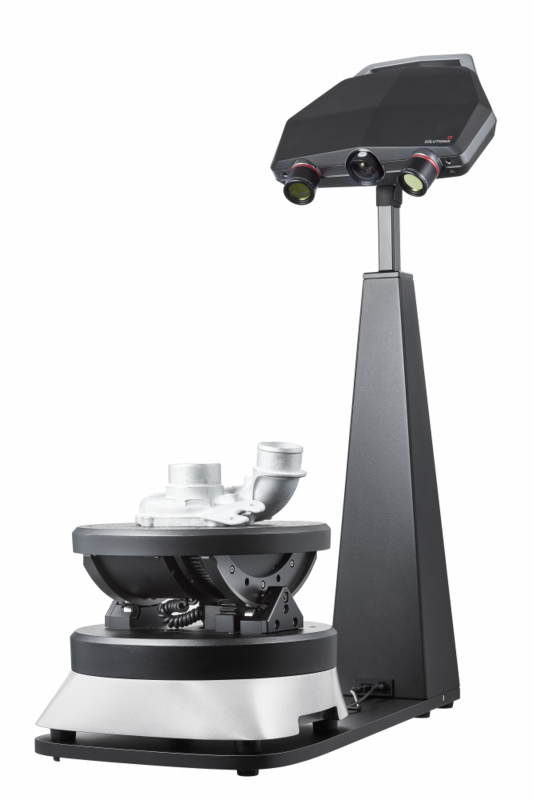 The Solutionix C500 is an industrial 3d scanner optimised for the automatic scanning of small to medium objects. 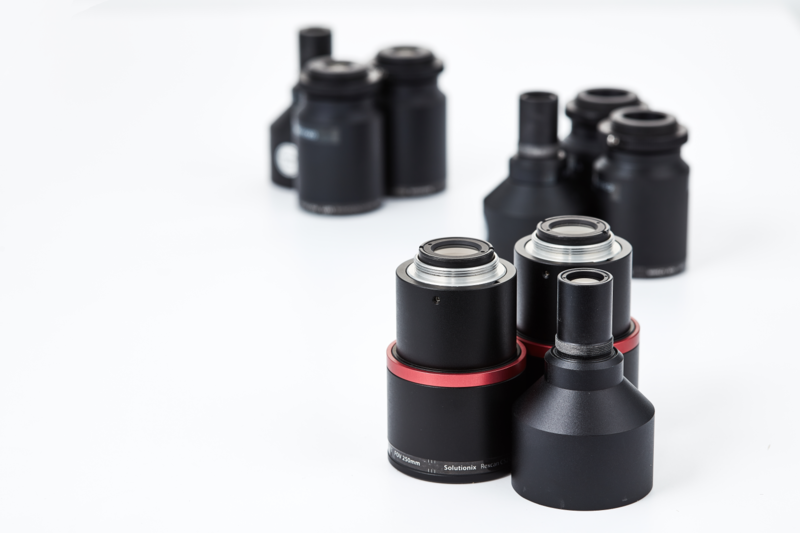 Dual 5.0MP cameras allow for high resolution capture of batch components, with class leading accuracy down to a few microns. 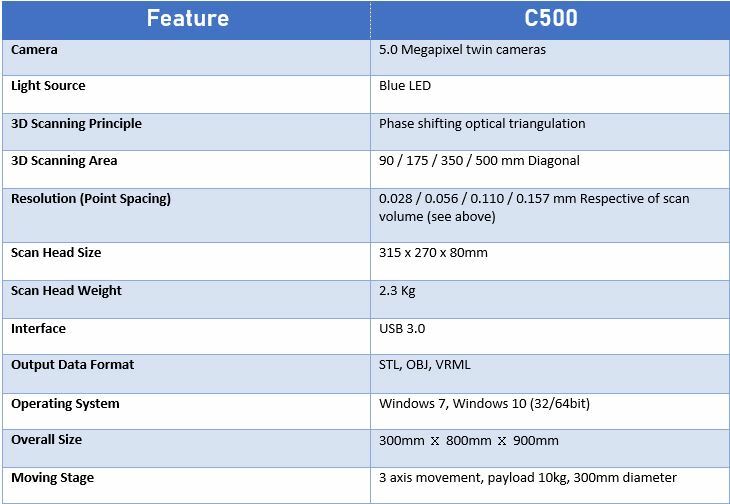 The Solutionix C500 is the perfect solution for industrial inspection or reverse engineering applications due to its incredible high resolution and accuracy. 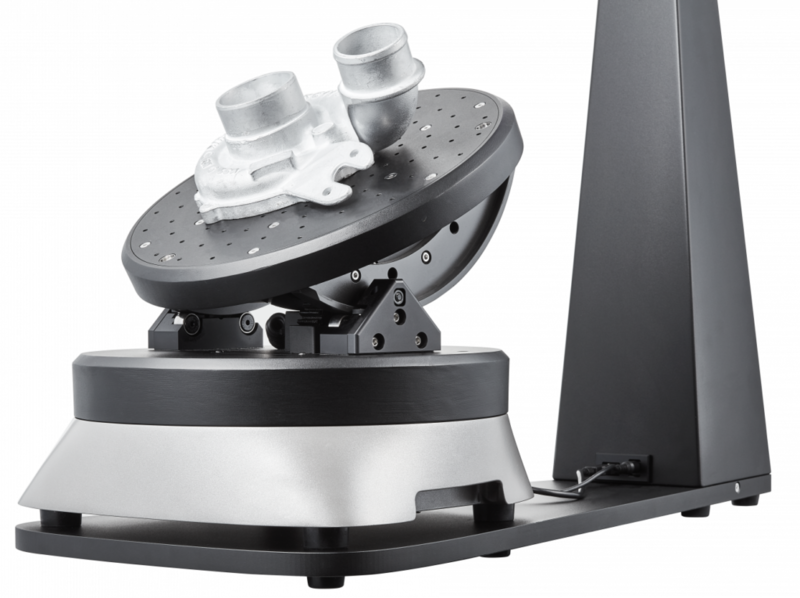 The introduction of full colour capture on the C500 creates new applications where high resolution colour information is required such as CG, web based retail and 3D printing. 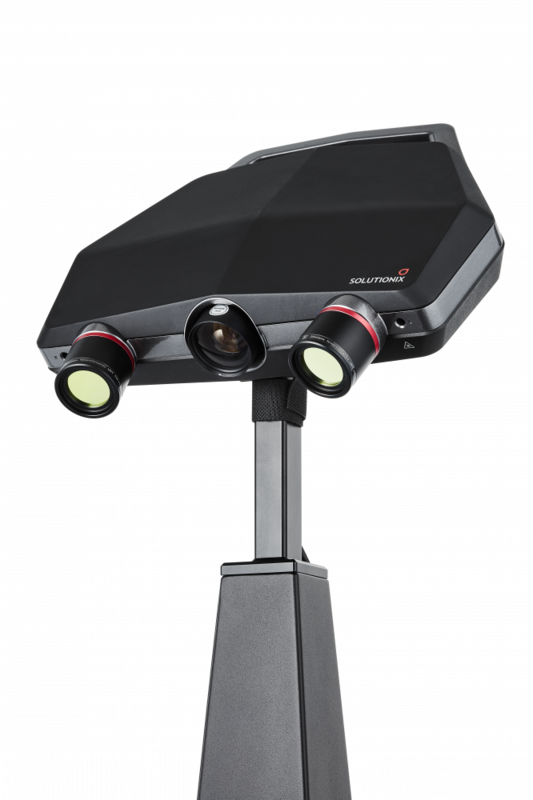 In order to maximise convenience, the C500 structured light 3D scanner was designed as a portable desktop scanner. It can be easily assembled and placed on office desks or any convenient surface. Users can perform scanning tasks without having to move away from the desk area. 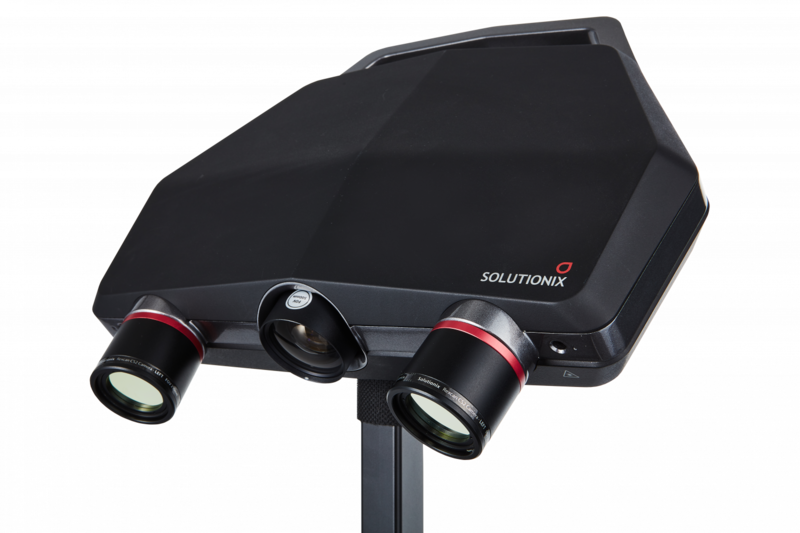 The Solutionix C500 structured light 3D scanner acquires high-quality scan data quickly and easily; it is the best solution for versatile applications in various industries. 3D scanning does not always take much work. 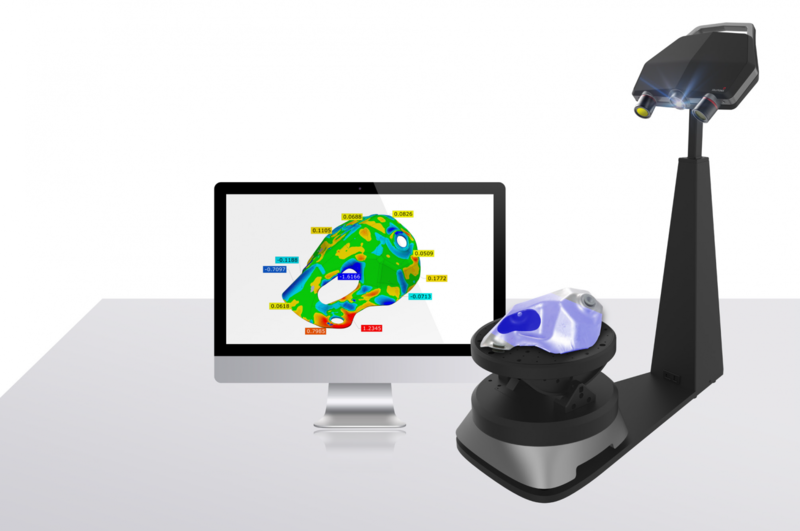 With a single mouse click, users can get their whole object scanning done very easily and quickly. 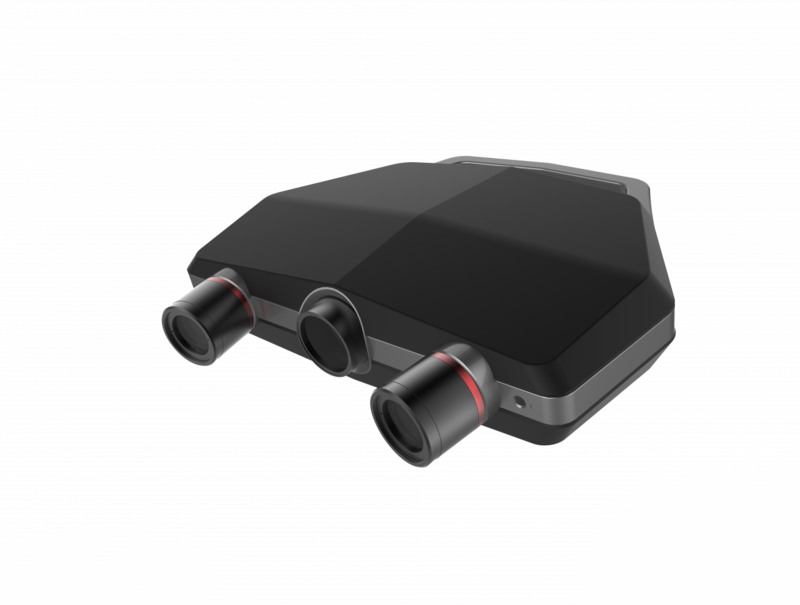 Another click to actively synchronize the model and camera views, enabling users to recognize any scanning position and to add more scan where it may be needed. Once the calibration panel is installed, clicking the calibration wizard will guide you through an automated calibration process. 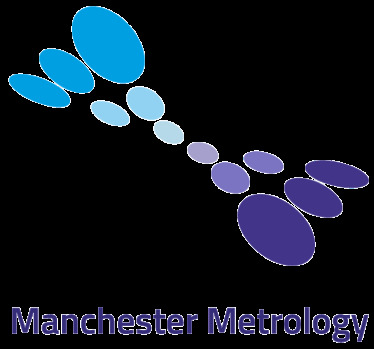 The whole calibration process may have been essential, but was difficult for users to follow. Now you will experience a genuinely user-friendly system and a fully automated procedure leading to extreme convenience. 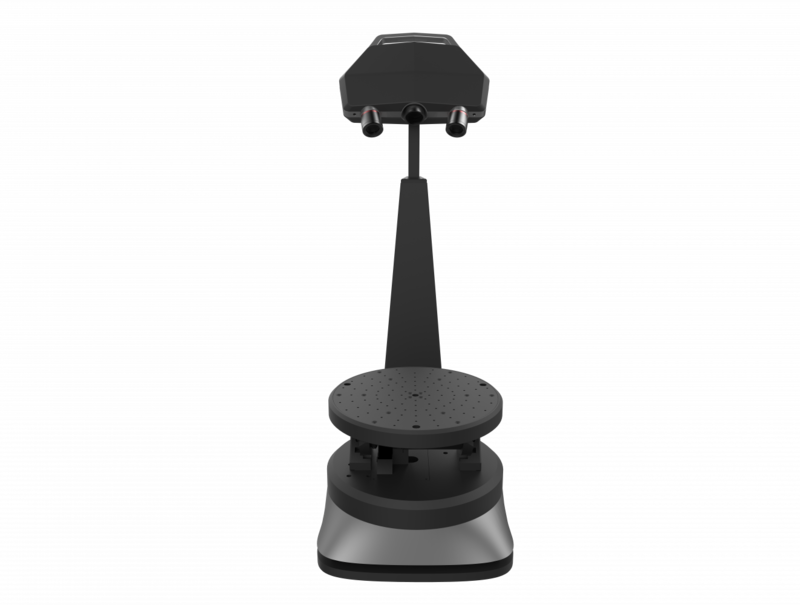 For scanning of objects that exceed the size or weight limit of the TA300+, the scanner sensor can be easily detached from the C500 stand and then installed on a tripod or other suitable stand for manual scanning.